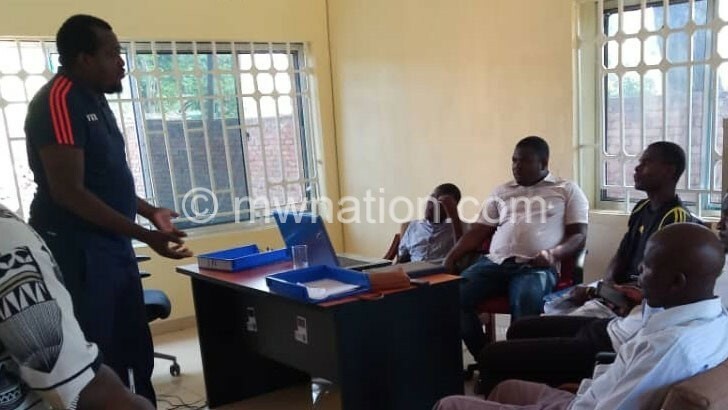 Football Association of Malawi (FAM) has embarked on club licensing system (CLS) awareness workshops targeting officials from top four Premier Division clubs in regional leagues in readiness for the 2019 season. During the first workshop held at Mzuzu Stadium on Tuesday, FAM licensing and compliance manager Casper Jangale said that as the 2018 season is heading to an end, one of the four teams will be promoted to the TNM Super League; hence, the need to familiarise them with licensing requirements. He said it has been a problem for teams to be introduced to the club licensing after being promoted. Among other requirements, club licensing demands teams to have audited financial accounts and transact through banks, legal ownership control, a youth team and a clear development programme; infrastructure which requires that a club should have a training base and a match venue; administrative and personnel which incorporates players contracts, and technical staff qualification requirements as well as one full-time administrator. Speaking on behalf of the teams, Ekwendeni Hammers team manager Mabuchi Mkandawire commended FAM, saying the knowledge will help them put things in place on club licensing. “This is something that we have been waiting for. It is important that lower league teams should be knowledgeable about CLS requirements before joining the elite league,” he said. NRFA general secretary Masiya Nyasulu urged the teams to take the club licencing workshop seriously. “This is the right time for the four teams to start looking at ways on how they can meet the CLS requirements. We thank FAM for providing the information in time,” he said. The workshop was attended by officials from leaders Chitipa United, Ekwendeni Hammers, Fish Eagles and Bolero United who are in the top four of the Simama and Sons (Simso) Northern Region Football Association (NRFA) Premier Division. Chitipa United are leading Simama and Sons NRFA Premier Division, Bolero United are second, Ekwendeni Hammers are third and Fish Eagles on fourth position.